Discover our Bronze Rooms at Burley Road in Leeds; complete with en-suite bathroom, a clean shared kitchen and all-inclusive bills. What's not to like? Student don't always have to rough it! All-inclusive bills, an en-suite and all of Leeds to explore - we think you'll love our Silver Rooms at Burley Road. 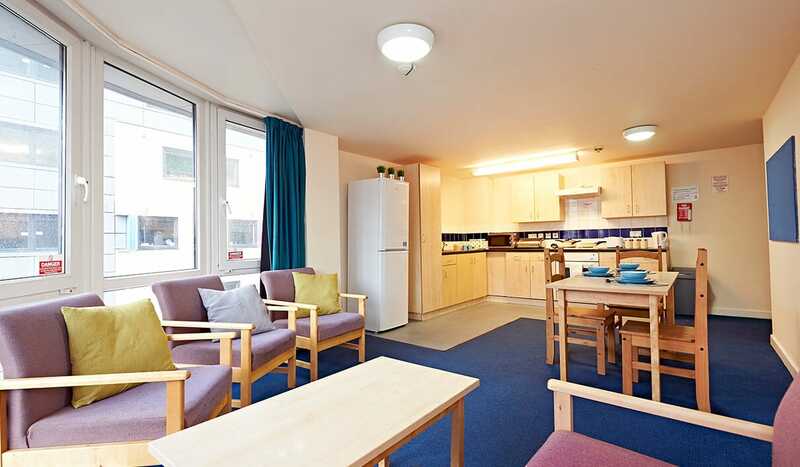 Student halls can be luxurious - check out our Gold Rooms at Burley Road in Leeds. We've got all-inclusive contracts, en-suite bathrooms & double beds, too! Like privacy & luxury in equal measure? You'll love our Studio Rooms in Leeds. With your own kitchen, bathroom & double bed, you'll be living the high life! Looking for a comfortable, spacious room in Leeds that caters to your additional requirements? You're sure to have a great experience at Burley Road. 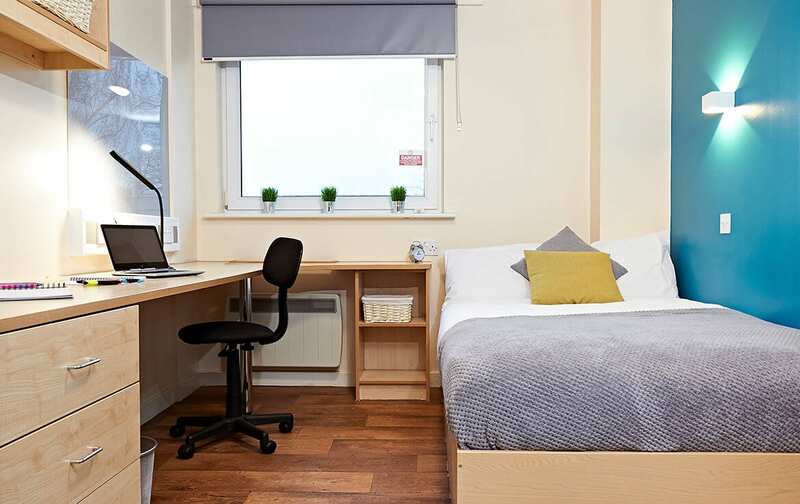 Priced from Bronze through to Gold including wheelchair-accessible options, all of our en-suite rooms have comfortable single or double beds, Wi-Fi and broadband connection and plenty of storage space for all of your textbooks, so you can hunker down for a revision session or post-studying nap when needs be. These flats also include a shared kitchen complete with oven, microwave and fridge-freezer, so you’ll have everything you need if you ever feel like cooking something a little more adventurous than beans on toast! For additional privacy when you want it, explore our deluxe studio rooms with a double bed and en-suite, plenty of storage space and large living and kitchen areas. That way you can have your cake and eat it – relax independently when you need me-time or invite friends over to unwind on your plush sofa and join you for dinner. Thanks to our fun residential activities, you’ll still have the opportunity to make friends with your neighbours too! At Burley Road, the weekly rate you pay is all-inclusive – so you don’t have to worry about unexpected electricity, water or internet bills. We also provide round-the-clock security and contents insurance, so you can have peace of mind whenever you decide to venture out into the world. With our practical laundry room on-site you’ll have no excuses for not getting your washing done, but if the pressure of living away from home gets too much now and again, don’t worry – not only do we provide a free kitchen clean every two weeks but our handy parcel service will ensure you get your care packages from mum and dad without a hitch! Outside of studying hours, you can relax and have fun with your friends in our comfortable social lounge. With incredible views of the River Aire, you might not want to leave Burley Road and venture out into the urban jungle, so when you feel like staying in you can make the most of our bike storage and car parking.